This year’s theme honors Steptoe & Johnson’s recent donation of the papers from the firm’s co-founder, Louis A. Johnson. 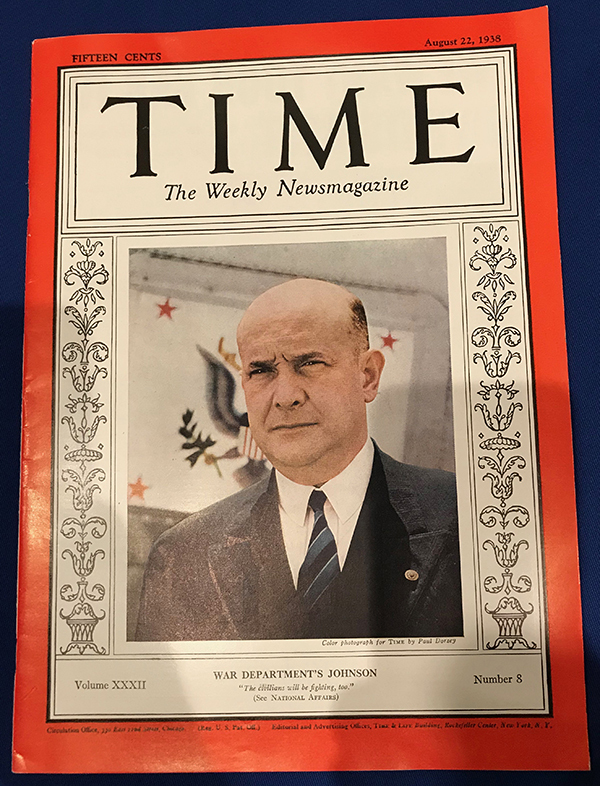 This Time magazine, from August 22, 1938, featuring Assistant Secretary of War Louis A. Johnson, is among the several artifacts in WVRHC’s upcoming exhibit. Festivities begin at 9 a.m. with a reception in the James and Ann Milano Reading Room of the Wise Library, followed by a panel discussion to include John Fisher, the William J. Maier, Jr. Dean Emeritus, WVU College of Law; David C. Hardesty, Jr., WVU President Emeritus; Gregory Hinton, Senior Professor of Business Law, Fairmont State University; Marjorie McDiarmid, Steptoe & Johnson Professor of Law & Technology, WVU College of Law; Robert Steptoe, Jr., member and former CEO and managing partner, Steptoe & Johnson; and Dr. Ray Swick, historian emeritus for West Virginia State Parks. 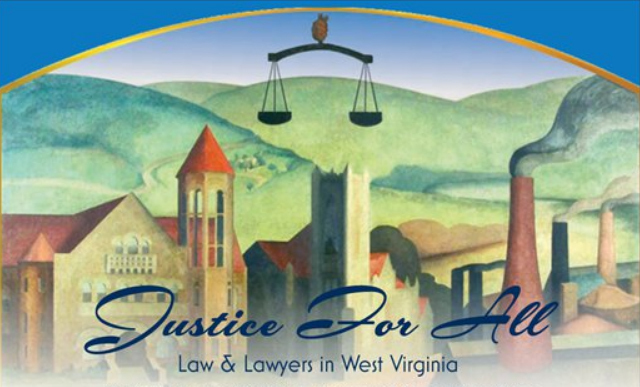 Guest speakers will address several topics relating to the history of law in West Virginia, such as pioneer lawyer James Wilson; J.R. Clifford, the state’s first African-American attorney; Louis A. Johnson; women in the field of law; and WVU’s School of Law. Following the talks, the WVRHC will open an exhibit of photographs, artifacts and documents chronicling the history of law in West Virginia in the James Hornor Davis Family Galleries. One gallery will be devoted to Johnson and other notable attorneys hailing from Clarksburg and Harrison County. Those visiting the WVRHC during the opening will receive a free commemorative West Virginia Day poster. Also to mark the occasion, attendees can stop by the Downtown Campus Library Atrium to enjoy a slice of birthday cake. All events are open to the public.